Toronto Star Features One of Our Devotees - Bhakta Yura ~ The Toronto Hare Krishna Temple! 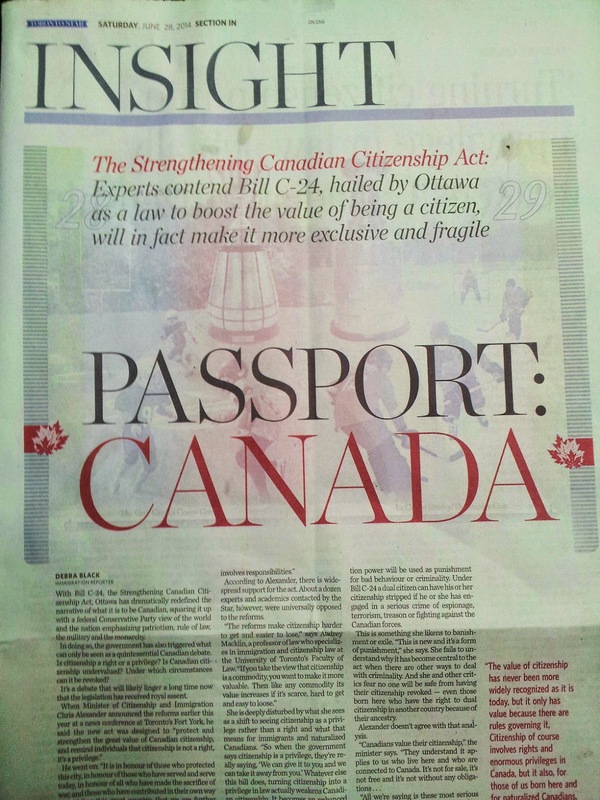 Today's Toronto Star (Saturday, June 28, 2014) featured a whole special section on Canadian citizenship. 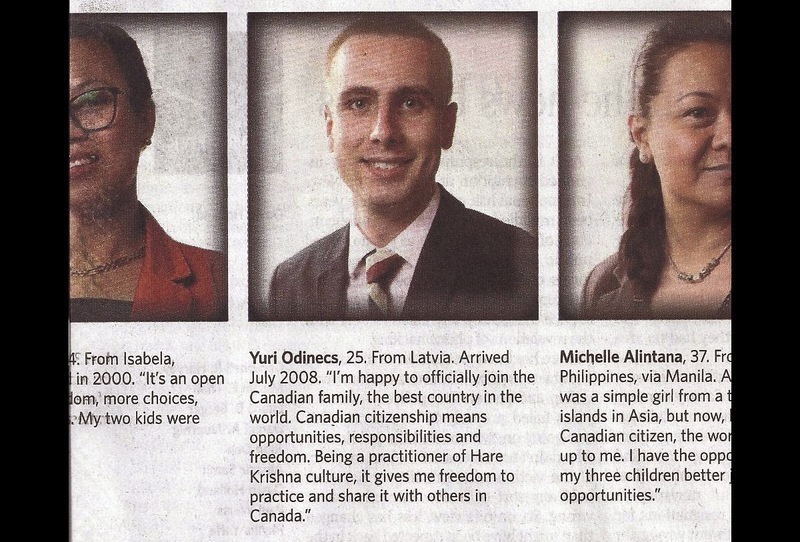 As part of their feature, they featured 27 people from various parts of the world who had just become Canadian citizens. Imagine the surprise when we saw that one of our very own young devotees, Bhakta Yura was featured as one of the 27 people profiled! He even got a chance to plug his Hare Krishna faith by saying, "Being a practitioner of Hare Krishna culture, it gives me a freedom to practice and share it with others in Canada."